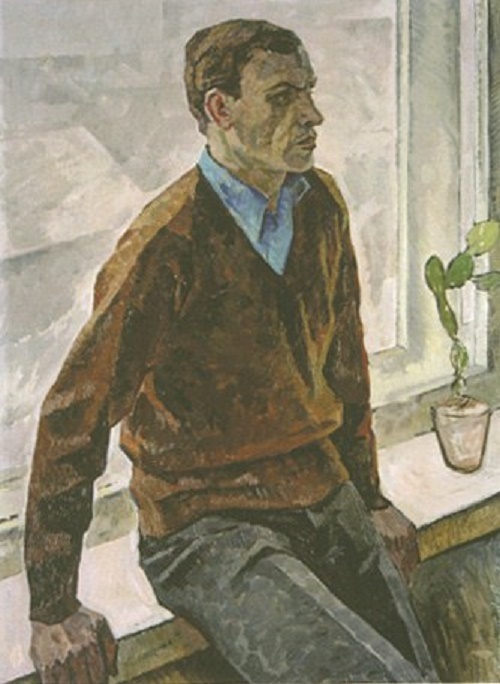 Soviet artist Revold Baryshnikov (18 November 1924 – 5 August 1985) – Member of the Union of Artists of the Ukrainian SSR (1960) and Honored Artist of Ukrainian Socialist Soviet Republic (1976). Revold Vladimirovich Baryshnikov was born November 18, 1924 in the city of Kharkov of Ukrainian SSR. The artist’s name Revold comes from the phrase “revolutionary movement”. 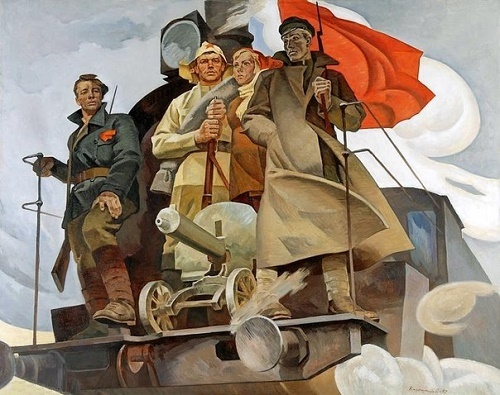 In 1941, he graduated from art school and went to the front. He is a veteran of the the Great Patriotic War (1941-1945). In 1948-1954 he studied at the Kharkov Art Institute, in the workshops of the Soviet artists S. Besedin and G. Tomenko. 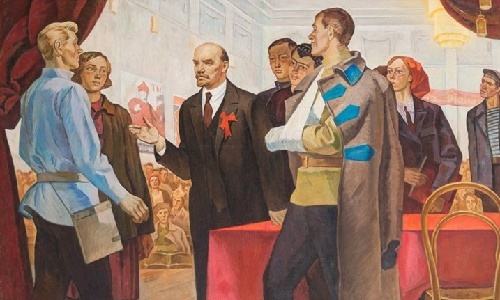 Revold Baryshnikov paid much attention to the military-patriotic theme, the reflection of the collective work and life of Soviet youth. He created many of his paintings under the influence of the “severe style”. Besides, his paintings are distinguished by laconically imaginative solutions. Since 1957, Baryshnikov participated in national and international exhibitions of Soviet Art. 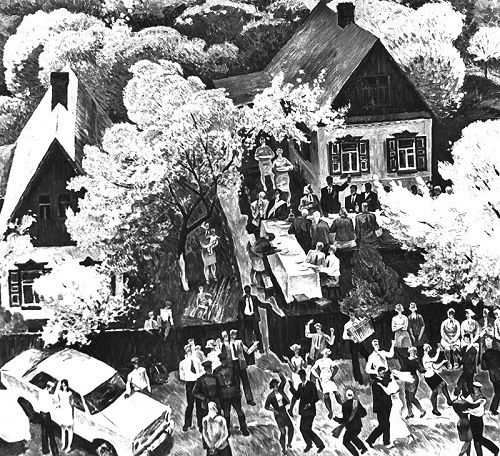 In 1968-1982 he became a member of the board of the Kharkov organization of the Union of Artists of Ukraine. The personal exhibition was held in Kharkov (1986). Main pictures: “The Mighty Handful” (1954), “Yesterday” and “Lenin at a volunteer in the Kremlin” (1960), “Construction” and “Taras’ Word” (1961), “Sowers” (1963) “Anxiety” (1965), “Our locomotive, forward fly …” (1967), “village in winter” (1968), “The first lightning” (1969), “Farewell to winter” (1972), “Starts the day” (1974), “Raise the flag” (1975). He is the author of more than 150 paintings and graphic works. 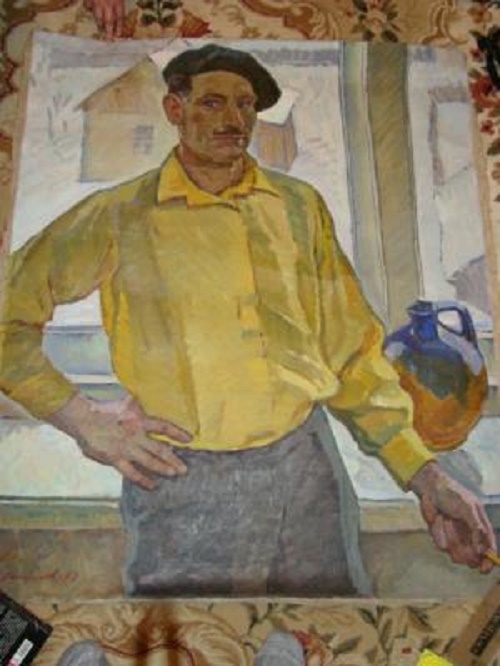 Revold Vladimirovich died August 5, 1985 (Kharkov, Ukrainian SSR). His works can be found in Kharkov, Dnepropetrovsk art museums, art galleries of such cities as Lubny, Cherkassy, ​​Belopole, Magnitogorsk, Lvov, Lugansk, Kirovograd, Kherson, Uman, and others.